little things like coffee and office supplies. We end up losing the receipt or don’t think it’s a big enough expense to worry about. But, they will add up and cost you money. Expenses aren’t the only place small businesses lose money. Inaccurate billable time tracking and incorrect invoices are other money drains. Many small businesses fail to track expenses, sales, and collections accurately. Fortunately, FreshBooks is a cloud-based solution for small business owners that help to organize and track all your expenses, billing and time. If you’re still using Microsoft Word and Excel to track accounts and send invoices, you know how time-consuming and inaccurate it can be. It’s time to try the reliability of FreshBooks. Who Can Benefit with FreshBooks? There are two groups of businesses that can take advantage of FreshBooks, small businesses and agencies with small business clients. Many businesses use the shoebox method of tracking expenses. You know, throwing expense receipts into a box and reconciling them at the end of the month. Time tracking is another area where inaccuracies cost businesses money. FreshBooks can eliminate the hassle and mess. In fact, their customers report an average time savings of 16 hours per month when using FreshBooks over manual spreadsheets. It’s not full-blown accounting software. Instead, FreshBooks focuses on time tracking and billing, so you get paid faster. It’s perfect for consultants and businesses who get paid for their time on a job. This is a cloud-based solution accessible using your phone. It makes it quick and easy to enter time and expense data when you or your team are on the run. And, that’s just one of five benefits. Beyond tracking time and expenses, you stay connected with your clients or send professional invoices right from your phone because it’s compatible with Android and iOS devices. 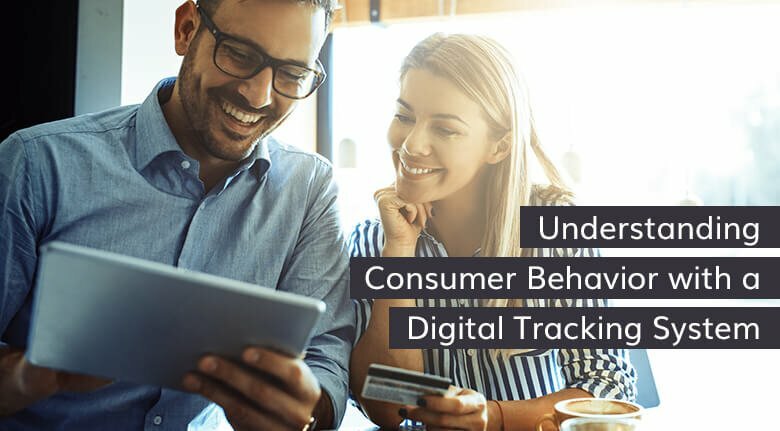 You’ll receive notification each time a customer pays. 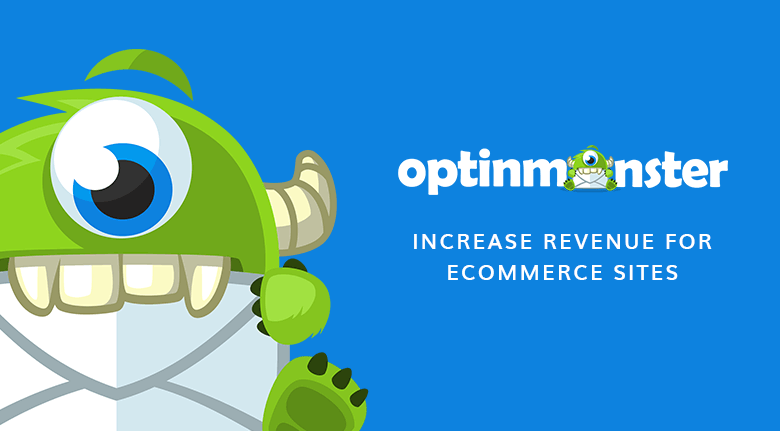 It integrates with 73 CRM, email and other business apps that you’re probably already using. Estimating a job used to be tedious until FreshBooks. Easily create detailed estimates that outline a project’s scope, timeline, and deliverables. 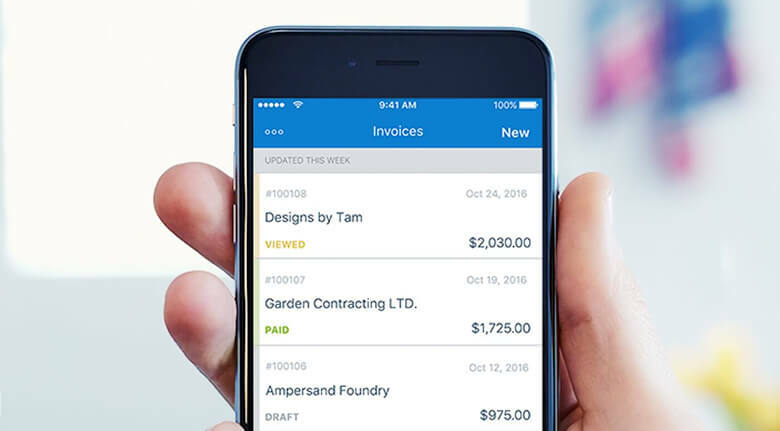 Once you get notification of acceptance, it only takes a few clicks to transform it into an invoice and email it from anywhere with the FreshBooks mobile app. 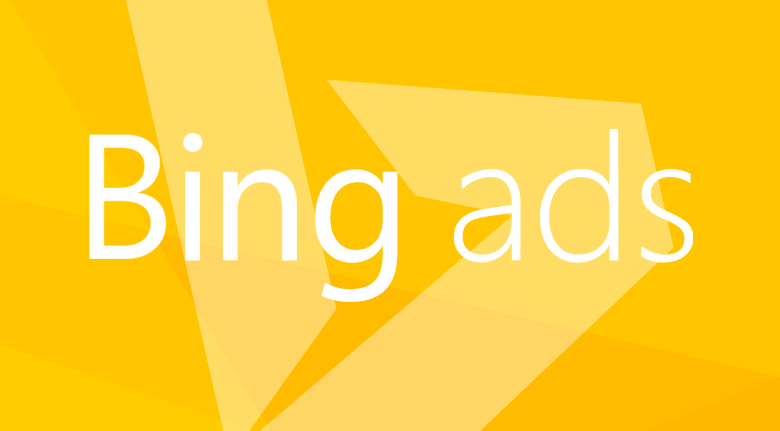 Invoices and estimate forms are easy to customize to create brand consistency. You don’t have to jot down times in a notebook or try to remember how long you and your team worked on a project. FreshBooks has a built-in timer that logs everything you do automatically. No more guesswork or lost time. You can also manually log in the time after the job. 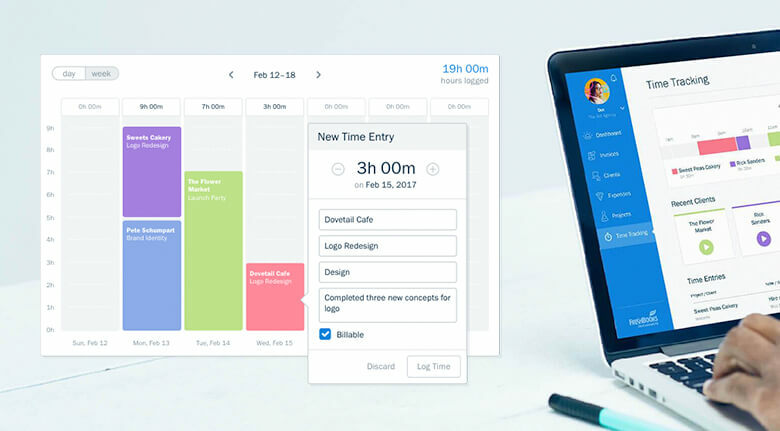 Increase productivity by tracking your time on specific projects and get a visual breakdown of the day’s activities to see where the time went. You can accept major credit cards, payments through Stripe and Apple Pay. 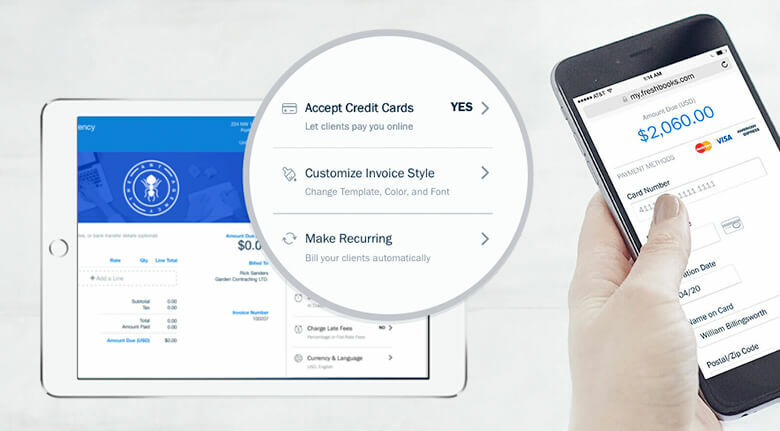 The app also lets you send recurring payments, saving you time from creating the same invoice over and over. If you have clients who are overdue with their payment, FreshBooks has automatic, customizable payment reminders to nudge them. With more businesses working remotely and collaborating with remote team members, it’s essential to have a system to track everyone’s time. 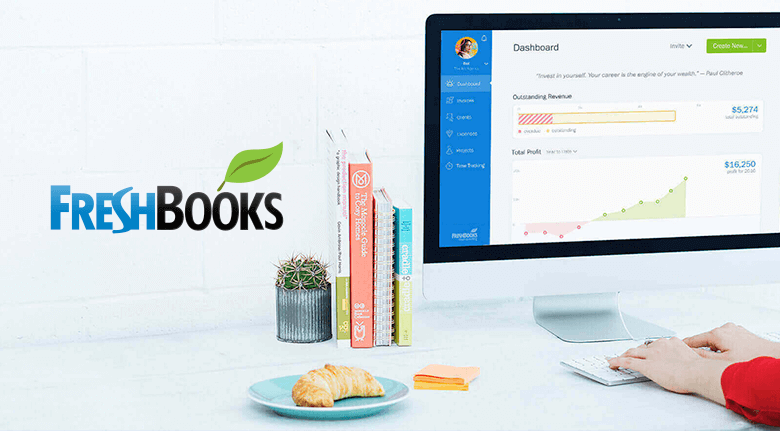 FreshBooks synchronizes with project management tools like Asana, Basecamp, Trello, and Teamwork, making it simple to track various teams and how they are spending their time. FreshBooks is a complete collaboration tool enabling project management. 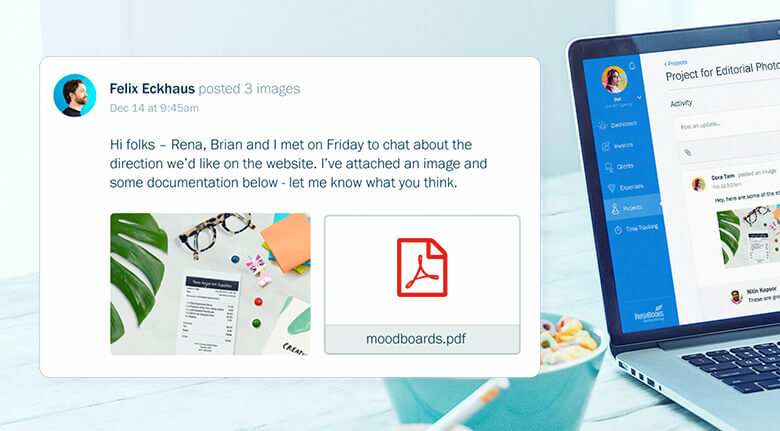 Share files from central, web-based storage and collaborate on the cloud from any device. Use the “project overview” screen to get project updates right from your smartphone using the iPhone or Android App. You can invite key employees, partners and clients to join, but still, control access to specific files. It makes communication between you and your client fast and straightforward. As a top marketing company for a variety of industries, we can attest to the fact that simplicity is key and the simpler you can make something, the better. Also, remember to Invest your team and in the project by demonstrating the results everyone is achieving. FreshBooks has the reporting tools that let your team see precisely how they are contributing to the project, inspiring better work. 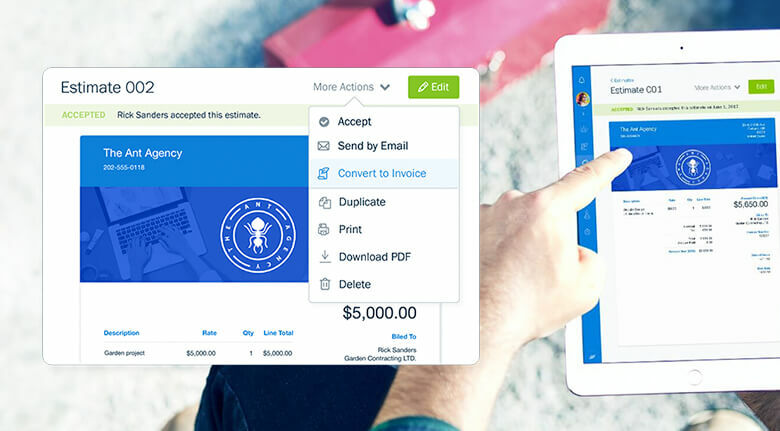 FreshBooks lets you customize your account and all your customer-related documents. Add your brand colors and high-resolution company logo on all the invoices and estimates. Printable PDFs of your invoices will also carry your logo and colors, creating a professional look. FreshBooks is the time-keeping, expense tracking and project management solution for small businesses or consultants in that market. Go here for a 30-day free trial. It’s the risk-free way to see if this can save you time and money. To know more, visit their contact page or their FAQ section.